A white speaker, who's name at this time is unknown, is caught on camera speaking about reparations to blacks, owed by whites for slavery and the ongoing repression they live under. 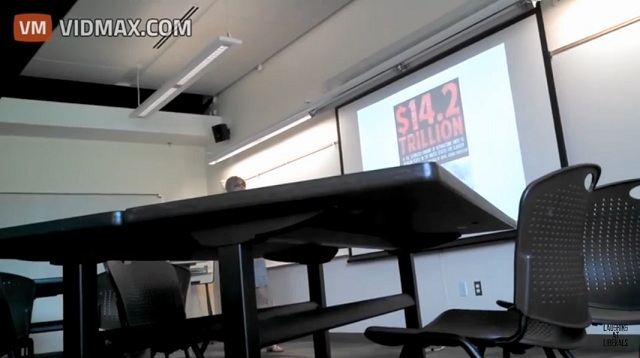 The speaker starts off by saying whites in the United States owe 14.1 trillion dollars for slavery PLUS an additional 6.4 trillion based on a '40 acres and a mule' article. The woman then kicks her white guilt into 5th gear by saying that all "white identify lives off of the stolen resources" of people of color and that "all white people sit on the pedestal of oppression of African people."